For the past few mornings I have opened my bedroom blinds to a thick and weaving Autumnal mist stretching out across the Somerset countryside like a beautiful watercolour scene. 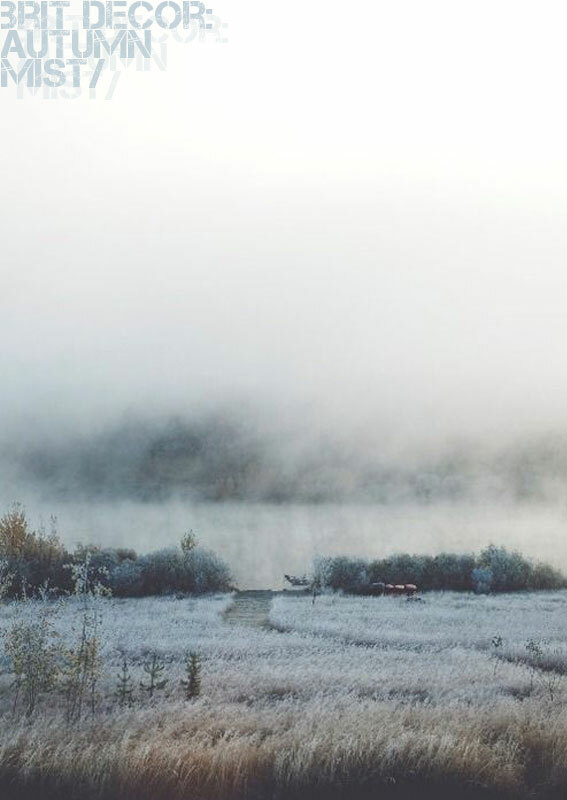 I find something both mysterious and alluring about early morning mists. It can be an early Summer dawn or and Autumnal one but either way I love how the light bounces and reflects from these tiny dancing particles of water as they filter and soften the daylight. So when I stumbled across this stunning image (above) on Pinterest, I felt inspired to post it on today's Brit Decor. Inspiration is about a whole process, a chain reaction of thoughts and ideas that come together. 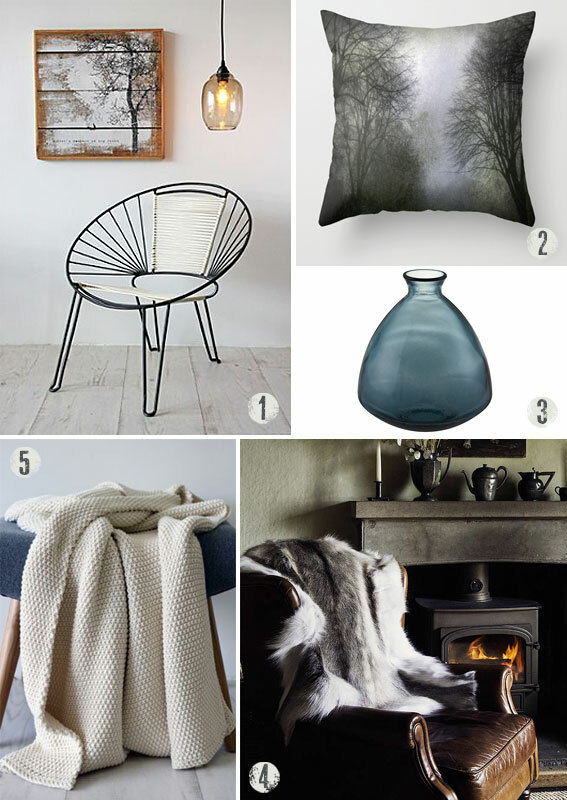 In my work, an inspirational image is rarely complete without a corresponding interiors palette and with the above dreamy scene in mind, I went searching for the perfect home accessories. My most apt find has to be the graphic print cushion below called Shrouded in Mist by Society 6! How perfect is that?